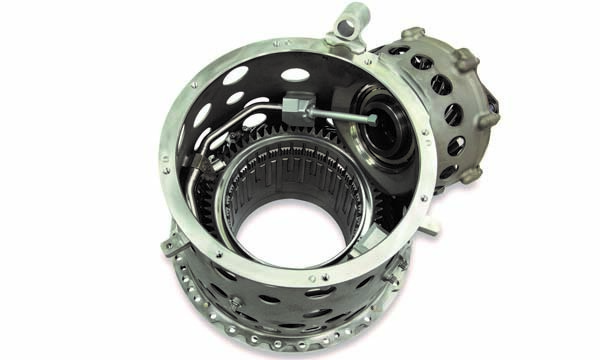 Aero Gear manufactures gears and gearbox assemblies used in jet engines all over the world. Photo courtesy of Aero Gear. Talk to any qualified supplier of aerospace parts and they will likely tell you the same thing: Quality needs to be the top priority for manufacturing. All stakeholders—from prime contractors to tier-3 suppliers, contract manufacturers, and job shops—know it because the safety of aircraft passengers depends on it. Aero Gear (www.aerogear.com) manufactures precision gears and gearbox assemblies used by aerospace giants like Pratt & Whitney, Sikorsky, Boeing, and General Electric. Last June, the company completed a 24,000-square-foot addition to its facility that Aero Gear President Doug Rose said was necessary to keep pace with the industry’s robust demand for jet engines, the primary application for its parts and assemblies. The addition increased Aero Gear’s total space to approximately 100,000 square feet, which includes manufacturing space for several new programs. Rose said that Aero Gear ensures the highest quality of its parts by carefully controlling and monitoring its processes. 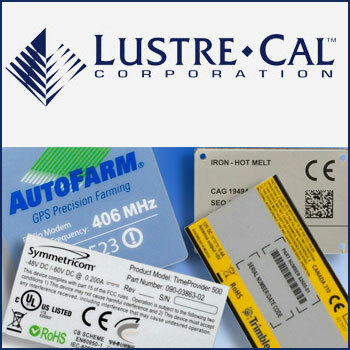 A quality control person is embedded in each manufacturing cell to make sure the process is consistently producing good parts, and to document that the parts are free of defects. It’s a far cry, he said, from the old school practice of waiting until all the parts have been machined before inspecting them at the end of the process. To help make the inspection process less manually intensive, the company invested in white light scanners that enable workers to check critical diameters and lengths—not just the external features—of a part very effectively. Rose said that Aero Gear is in the beginning stages of integrating this inspection technology with its CNC machining systems. “We’re starting to link up some of the inspection equipment to the machines,” he said. “The scanner, and, in some cases, the CMM, can feed back to the machine and make adjustments.” Some of the firm’s machines also have a probing arm that allows the part to be inspected as it’s being manufactured. “Basically, it comes down to always monitoring the quality [of the part] as you’re making it,” he said. Aero Gear was recently awarded “Elite Supplier” recognition from its longtime customer, Lockheed Martin Sikorsky Aircraft. It marked the second year in a row that Lockheed has chosen the company for the award, which honors consistency, reliability, and resourcefulness. Aero Gear’s superior product development and support service also earned United Technologies Corporation’s rank of “Gold Supplier” for a second year. Most of Aero Gear’s processes, including machining, grinding, vacuum carburizing, superfinishing, balancing, and nondestructive testing, are performed in-house. It’s part of the company’s Lean philosophy of flowing its product to reduce lead times. Rose said that Aero Gear’s core competency is its knowledge and command of the processes needed to maintain case depth on gear teeth. Effective case depth, according to ASM International, is “the distance between the finished tooth surface to a specific subsurface hardness value.” It is essential to producing “a gear that can withstand a sustained, applied load,” according to the global materials information society. The ability to maintain case depth on the gear teeth requires knowing, first, what the configuration of the part should be prior to its being heat treated. Then, it’s necessary to determine what controls should be used on the heat treatment process, to ensure optimal heat treatment while minimizing distortion. “You’re controlling distortion within a few thousandths of an inch,” Rose said. The gears are then finish machined, which is likely to mean that only five thousandths of an inch (0.005 inch) of material should be machined to maintain case depth on the part, Rose said. Rose said the company really took off around the year 2000, when it fully embraced a Kaizen, Lean Manufacturing approach. It was a breakthrough of sorts that formally established a way of working on Continuous Improvement by involving teams of people working together. All that work paid off in new contract after new contract, leading to last June’s expansion. “To me, it’s just been amazing how much more you can accomplish with an engaged team, than with individual performers doing their tasks. For me, the change has been about that, and having the mentality of Continuous Improvement—you can always do it better. It all goes to viewing everything as a process,” Rose said. Aero Gear’s team-based approach is a key reference point when evaluating job applicants. 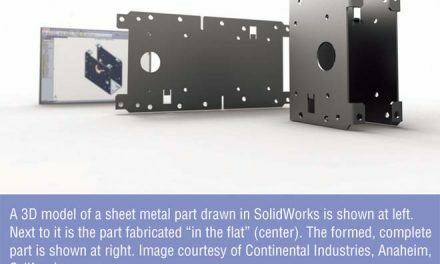 Its team includes—among other personnel—gear designers, gear grind operators, manufacturing and quality engineers, skilled machinists, and CNC programmers for its machining centers. Beyond establishing whether a person has the basic technical skills and aptitude, Aero Gear does personality profile testing to help determine if an applicant will be a good fit with the company. Four years ago, L&R Precision Tooling Inc. received its AS9100 certification, affirming that its quality management system meets the international standard for the aircraft, space, and defense industry. A machine job shop in Lynchburg, Virginia, L&R Precision Tooling specializes in machining complex parts in titanium, Inconel, and other exotic materials to tolerances of plus or minus 0.0002 inch. Its 5- and 7-axis machining capabilities enable the company to produce complex parts with fewer setups of its machines, saving time and increasing productivity and predictability. L&R Precision Tooling’s Fastems Flexible Manufacturing System is well suited to handling the part quantities and fluctuating delivery schedules that are common in the aerospace market. It is currently configured with three Okuma MB4000 horizontal machining centers and capable of holding up to 52 pallets. Photo courtesy of L&R Precision Tooling. These multi-axis machining capabilities and experience in working with exotic materials, particularly Inconel and titanium, put L&R in a strong position to serve the aerospace market, said Chris Coffey, L&R Precision Tooling’s vice president of business development. 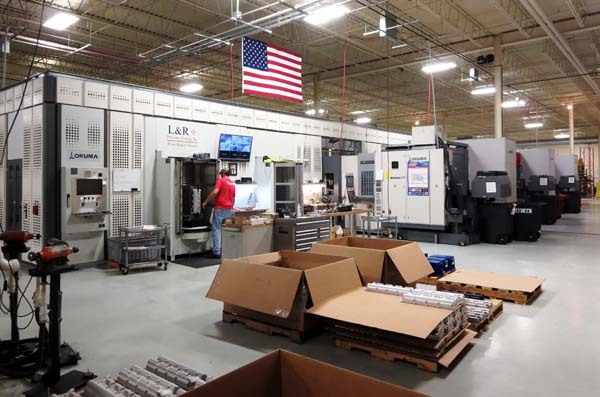 In recent years, L&R has added new equipment with an eye toward not only creating capacity, but increasing flexibility, adaptability, and precision. A prime example is the company’s Fastems Flexible Manufacturing System, currently configured with three Okuma MB4000 horizontal machining centers and capable of holding up to 52 pallets. Well suited to handling the part quantities and fluctuating delivery schedules that are common in the aerospace market, the flexible manufacturing system (FMS) meets the needs of customers who don’t want to carry inventory but want to be able to achieve volume pricing on smaller batches of repeat parts. “The FMS works well for the aerospace and aviation markets, as they typically don’t need large runs of parts—they need smaller batches for just-in-time delivery, and that’s the sweet spot for this system,” Coffey told D2P in a 2017 phone interview. “The beauty of the system is that programs and fixtures can be stored for immediate retrieval to more quickly move back into production for varying quantities of parts, while providing predictability in pricing,” he wrote in March. L&R Precision Tooling (www.lrprecisiontooling.com) has a nucleus of people who have contributed greatly to its success, Coffey said. Eleven of its employees have been with the company 15 years or longer; another three, more than 10 years. A company that is partially owned by its employees, L&R looks for machinists who take great pride in their work and show great attention to detail. Part of L&R’s philosophy is to provide its machinists with the quality equipment and tooling required for them to excel at their jobs. In addition to being certified to AS9100 Revision D, L&R Precision Tooling is compliant with International Traffic in Arms Regulations (ITAR) and a participant in the Government-Industry Data Exchange Program (GIDEP). WB Industries (WBI), a custom metal fabrication firm in O’Fallon, Missouri, designs, engineers, and manufactures a wide array of custom platforms, tooling, and ground support equipment used by major aerospace manufacturers. The company recently earned its AS9100:2016 Quality Standard Certification and is a Boeing Gold Level Supplier, having won numerous Boeing Supplier Excellence Awards for quality and on-time delivery since 2007. A metal fabricated work platform manufactured by WB Industries for an aerospace customer. Photo courtesy of WB Industries. 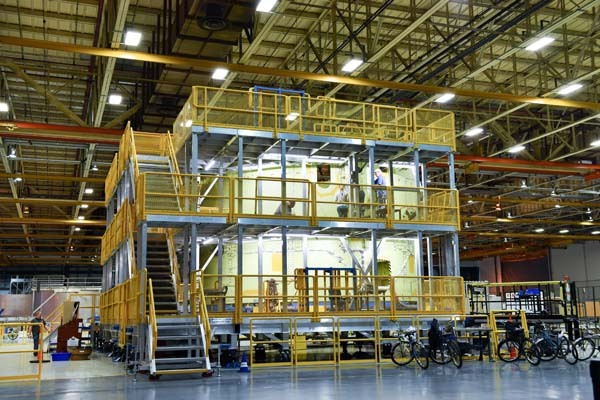 WB Industries uses its welding and precision machining capabilities to manufacture aircraft platforms that include personnel access platforms, emergency egress structures, and platforms for assembly, painting, testing, and maintenance and repair. Tooling equipment manufactured by WB includes assembly jigs and fixtures, drill jigs, and holding fixtures. For customers that need ground support equipment, the company builds products like parts handling carts and storage racks, hoisting and lifting fixtures, conveyors, turntables, and stabilizing jacks and stands. Often, a customer will come to WBI with a request to modify a platform or holding fixture that WBI had built for them years earlier. The reason, Bertolucci said, is they’re looking to improve efficiency and safety. WB Industries’ machining services for the aerospace industry include CNC precision machining, tool manufacturing, and metal cutting. In recent years, WBI acquired a Kuraki horizontal boring mill, which it uses to machine larger parts, and a Flow Mach 3 waterjet cutting machine, which Bertolucci said offers outstanding precision and quality. WB Industries (https://w-bindustries.com/) has used plasma burning and laser cutting for various applications in the past. Although both processes are significantly faster and less costly than waterjet cutting, Bertolucci said, they present challenges in meeting customer specifications because they create a heat affected zone (HAZ) that distorts the material that’s being cut. WB Industries Vice President and General Manager Ken Wasiuta, a mechanical engineer, said that when it comes to CNC precision machining, versatility is probably WB Industries’ greatest strength. Wasiuta said WBI got its start within the aerospace industry making small components with detailed, complex tools, and progressed over time to its current capabilities. Wasiuta said the year brought WBI jobs that encompassed just about every imaginable variety of platform and shape, from simple rectangular platforms to those with very complex shapes that match up perfectly to the contour of the aircraft; platforms that went up and down; platforms that floated on cushions of air; and platforms that had all kinds of utilities and other unique features that gave the operators—the fabricators at its customer’s factory, everything they needed at their fingertips to do whatever it was they were doing. “That’s a big part of our business, making those platforms and related structures that get people close to the aircraft and keep them safe,” Wasiuta said. The ground support equipment that WBI manufactures is also tooling that’s used in the manufacture of aircraft, but it’s not directly used to make the aircraft part. Because of the complexity of its work, design and engineering expertise, as well as the ability to collaborate with customers, is important to WBI. The company added this capability over time, as its reputation grew with its aerospace customers, Wasiuta said. Today, WBI’s team includes design engineers, stress analysts, and highly skilled CAD operators who can work in the 3D CAD realm and produce drawings that its customers want to see. “We’ve got a good capability right now; we know how to do design in the aerospace realm,” he said. “We have the software that our customers are using, and we understand how they design. We have the ability to talk their language, to do it in a way that they’re familiar and comfortable with. Wasiuta said that customers are coming to WBI more and more now with very loose concepts of what they want to be built. Initially, when WBI started designing, customers would give them detailed concepts on paper, or a model. WB Industries’ engineering work begins when customers bring the company their statement of work: what they need from WBI. Often, the customer may not have any idea of what the product might look like. It’s WBI’s first order of business to solve the technical statement of work challenge. Once that’s accomplished, WBI begins a second stage of engineering design, where it conducts design for manufacturability, design for cost effectiveness, and design for maintainability. “There’s definitely a process that takes several iterations,” Wasiuta said. “A number of different design reviews are held to make sure that you have a technical solution, but also one that is manufacturable and maintainable. It has to use the maximum amount of commercially off-the-shelf available parts, so that spare parts are readily available. Customers want preventive maintenance plans; they want listings of products that could wear out and have to be replaced. Wasiuta said that additive manufacturing is now being discussed within the aerospace industry as a technology that could help companies do quicker prototyping. And the rising demand for non-standard materials—specifically composites—in airplanes is pushing suppliers to extend their capabilities. For WBI, that means supporting tools that are used to make composite parts, and welding on materials that have traditionally been atypical for them. “We’re having to support tools that go in autoclaves, and tools that have vacuum components to them, that are machined in such a way that you could lay uncured composite components on and have them take a particular shape,” he said. “That requires skills that we haven’t seen before, so we’re developing the expertise and coming up to familiarity with those types of tools. Although technical expertise is essential in engineering and manufacturing, Bertolucci also realizes the importance of the interpersonal element, or the human element, in a very technical field. “It is vital for us, if we are going to be a long-term source, that we have to maintain our employees here,” he said. “And so we work very, very hard on employee engagement, trying to make sure our employees here, internally, believe in what we’re trying to accomplish, and that they understand and trust each other. There’s so much documentation and processes that we have to follow, that if we don’t have the utmost trust from one handoff to the next handoff to the next handoff, by the time it gets to our end game, we’re not going to be a very successful company.